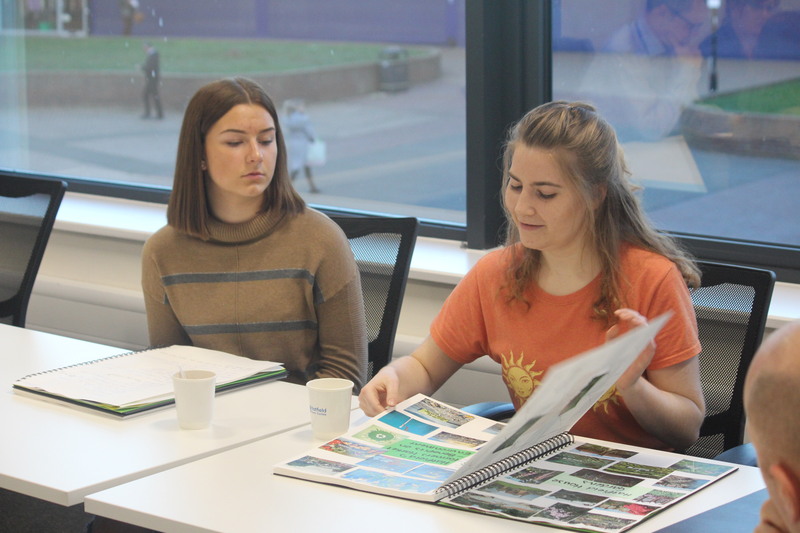 A Hatfield 2030+ art project kicked-off this week as Oaklands College students met with council officers to show their initial ideas for displays in key walkways leading to White Lion Square. Desires for the future, exploring the impact that new technologies would have on the area. The artwork could be photographs, drawings, paintings, print or digital works, and will be used to improve some of the wall space around the town centre in what will be a significantly enhanced area. The installations are also an opportunity for students to have their work displayed in a public area with a high footfall, giving exposure for 12-24 months, and each piece of work will have a panel to credit the artist. Councillor Bernard Sarson, Executive Member for Regeneration, said: “This is a fantastic opportunity for local art students to get involved in our ambitious regeneration plans for Hatfield town centre, helping to improve the local area and getting exposure in an area of the town that has a high number of shoppers and visitors. Students from Onslow St Audreys and Bishop’s Hatfield Girls’ School will also be submitting their artwork ideas in the coming weeks.